Congratulations to our Senior Class of 2008 and all of our award winners! CRANKS IT UP FOR 2008! WILL BE CHARGED $20 CLEANING FEE! Congratulations to the Colleton County High School "Band of Blue" for being awarded the SCBDA Outstanding Performance Award for the 14th time! SCBDA Outstanding Performance Award: 1982, 1995, 1996, 1997, 1998, 1999, 2000, 2002, 2003, 2004, 2005, 2006, 2007, 2008. We looked and sounded great! The Indoor Percussion Ensemble was 2nd Place and received the Silver Medal in their class. A Big Thank You to Mr. Greg Hall and Mr. Stacey Miller and all of the parents that helped make this a very successful winter season! Bill Young guest conducted The Band of Blue at Sunday's Spring Concert. Mr. Young performed The Strategic Air Command by Cliffton Williams. The Band of Blue will also be playing this fine march in the Cherry Blossom Parade this Saturday. Marching bands are a vibrant element of the parade. NCBF is proud to welcome 11 outstanding bands that competed to thrill audiences with their musicality, marching, uniforms, and drum-lines. The bands come from all over the country, is your home state–or even town–represented? Congratulations to the 2008 CWEA SAA Indoor Percussion Winter Ensemble Silver Medalist. The Colleton County Indoor Percussion Ensemble took 2nd Place in the Carolina Winter Ensemble Association Championships this past Saturday at Winthrop University in Rock Hill, SC. The Indoor Percussion Ensemble scored an 80.20. The Winter Percussion Ensemble is directed by Greg Hall. finish in the 2008 CWEA Division AA Winter Ensemble Championships. The “Varsity” guard scored a 63.20. The “Varsity Winter” Guard is under the direction of Stacey Miller. performances at Dutch Fork HS! Both Groups perform again on March 29th at Winthrop University in Rock Hill. Both units competed in the CWEA Premier Show at Rock Hill High School. Both Groups perform again on March 1st at West Ashley High School. The Varsity Winter Guard is under the direction of Stacey Miller. GREAT JOB at the Martin Luther King Parade! BI-LO makes a donation to the Band of Blue for the Cherry Blossom Festival Parade. Special thanks to Robbie Smoak, Manager for this contribution! THANKS TO ALL THAT CAME OUT AND WHO SUPPORT BIG BLUE!! BIG BLUE SCORES A 91.525!! CC WINS HIGH OVERALL EFFECT CAPTION! PARENTS READ THIS - IT IS WORTH IT! BIG BLUE SCORES A 93.975!! CC PLAYS AT 2:30 NEXT SATURDAY IN STATE FINALS! @ WCU TOURNAMENT OF CHAMPIONS!! PICTURES FROM WCU & MORE BIG BLUE! BAND CLASSIC HAS GREAT TURN OUT!! WAY TO GO BIG BLUE!!! won best booster support group! BAND CAMP FEES ARE STILL DUE NOW!! GUARD UNIFORM MONEY IS DUE!! PLEASE BE CURRENT AND PAY UP YOUR FEES! 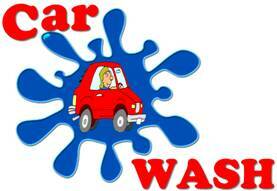 Thank You to all the parents and students that washed hundreds of cars Saturday! A special thanks to all the business partners for donating sites and materials.